FACT CHECK: Did a Study Show That Dogs Could Exhibit Jealousy? Did a Study Show That Dogs Exhibit Jealousy? 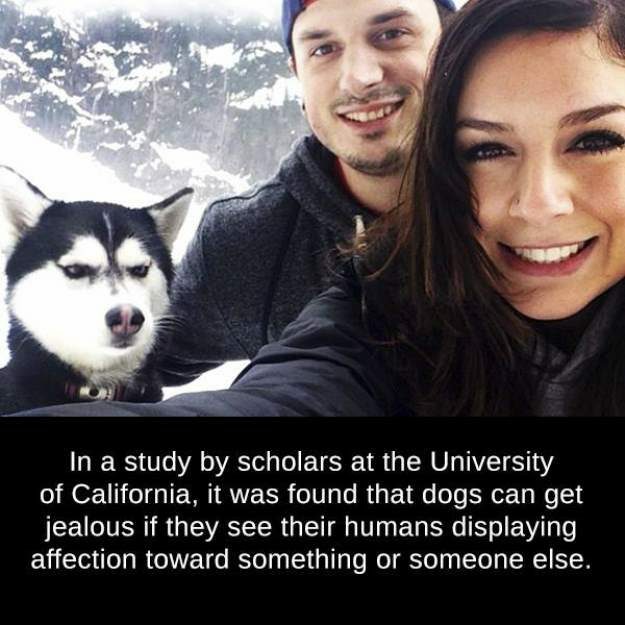 A popular meme showing a dog looking resentful as his owner poses with a significant other is based on a 2014 study suggesting dogs can behave jealously. A study showed that dogs could show jealousy if they caught their owners behaving sweetly toward other dogs. Our study suggests not only that dogs do engage in what appear to be jealous behaviors but also that they were seeking to break up the connection between the owner and a seeming rival. We can’t really speak to the dogs’ subjective experiences, of course, but it looks as though they were motivated to protect an important social relationship. According to the study, 78 percent of the dogs tried to “push or touch” their owner while they interacted with the stuffed doll; by comparison, 42 percent of them behaved that way when the human was handling an inanimate object, a Jack-O-Lantern pail. When they saw their owner reading a pop-up book that played melodies, only 22 percent of the dogs sought attention. The study did receive some criticism at the time from Laurie Santos, director of the Canine Cognition Center at Yale University, who said that Harris and her team did not measure the dogs’ reactions to the stuffed animal or the pail without their owners present, leaving it unclear whether the animals were reacting out of fear. I think it would be nice to take a look at how animals react to the objects by themselves. But I’m not concerned that that invalidates the study in any way. There’s a couple of reasons for that. One, emotion researchers really think of jealousy as a love triangle. Once you take one individual out of that love triangle, you’re really not looking at jealousy. It might be the case — I can’t completely rule it out that dogs would have shown aggression toward the stuffed animal without having seen this “betrayal” [by] their owner. But that’s not our only measure. If you’re a species that forms interpersonal relationships and these interpersonal relationships somehow produce an advantage, and these interpersonal relationships can be stolen or usurped by someone else, it behooves you to guard them. We don’t know exactly what they feel. But I believe they have the motivational state of jealousy. And so to really know if that’s true, you need to do research. 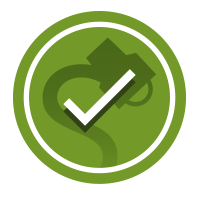 We need to do research on many things that we think we know are true, because sometimes what we think isn’t right. UC San Diego News Center. 23 July 2014. Proceedings of the National Academy of Sciences. January 2009. PLOS One. 23 July 2014.